Chef Nadia G shares a rockin’ meal for the whole family (The Cooking Channel’s “Bitchin Kitchen”) on THE TALK, Wednesday, July 10, 2013 on the CBS Television Network. 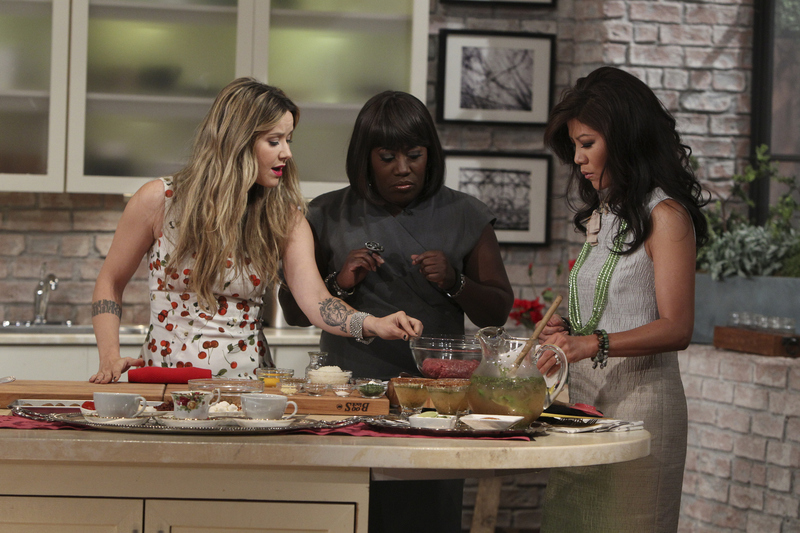 Nadia G, from left, Sheryl Underwood and Julie Chen, shown. Photo: Sonja Flemming/CBS ©2013 CBS Broadcasting, Inc. All Rights Reserved.